We are Leading Suppliers of Nutraceutical Supplements in various dosage forms like Tablets, Capsules, Powders, Granules, Syrups, Softgels etc. Pack Size 35 Gm., 105 Gm, & 210 Gm. 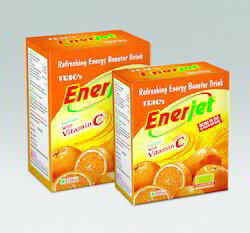 Dissolve 35 gm ENERJET Powder in a Glass of containing about 200 ml of cold water and consume the Drink for instant refreshing energy bubbling enthusiasm. Eq. to Elemental Zinc 20 mg. 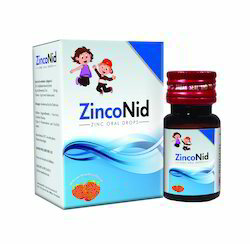 Treat & prevent low level of Zinc for normal Growth & Development of a Child. Zinc is an essential Mineral that stimulates the activity of about 100 Enzymes in the Body, thus Zinc Element plays a larger role in our lives than we realise. Zinc deficiency is responsible for over 800000 Childhood death in the World every year. An increased Zinc level has proven effective in fighting Diarrhoea & other Infections. Accelarates approx. 100 different Enzymes in the Body. Boost up the Immune system fight against illness. Supports Healthy Growth & Development. Zinc deficiency is associated with an increased risk of Gastro intestinal Tract infections. 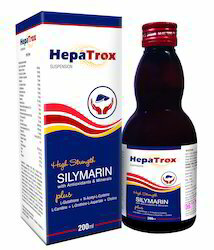 Improves Liver Functions by correcting sluggish Liver. Stimulates appetite & sense of well beings. 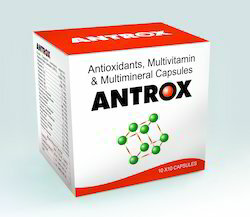 offer this capsule in quality packing for maintaining its quality& delivered within a promised time. Natural Beta Carotein (10%) 10 mg.
Our enterprise is delicately providing a wide range of Antioxidants, Multivitamin & Multimineral Capsule that is available in various packaging options. We only use quality approved chemicals while processing these capsules. Furthermore, our quality controllers check these capsules against various parameters to ensure their quality. Apart from this, these capsules are delivered to our clients within committed time frame. Box Pack of 10 x10 Cap. Packaging Size An Outer Box containing 10 Monopacks of 10 Tabs each. Packaging Type Alu-Alu Blister Monopack of 10 Tablets. Thinning of Hair, Dry Hair, Dandruff, Hair loss during Pregnancy & Lactation, Premature greying of Hair, Brittle Nails & Dull skin. Special Formula for Special one for their Special needs. Outer Box containing 10 Monopacks of 10 Tablets each. Our industrial expertise has enabled us to offer a comprehensive array of Soft Gels of Calcitriol, Calcium Carbonate & Zinc. The offered product is processed under the supervision of pharmaceutical experts using safe ingredients in compliance with medical standards. This product is valued in the market for its quick effectiveness. We assure our customers that offered product is severely tested from our end for ensuring its usage. 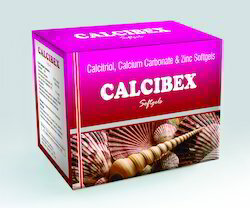 We are dedicatedly engaged in supplying of Calcium, Calcitriol & Zinc Capsule to the esteemed customers. This capsule is formulated using calcium carbonate 250 milligram, calcitrol 0.25 micrograms and zinc 7.5 milligram. It is used to treat calcium deficiencies and is highly appreciated for its fine results. In addition to this, it is hygienically formulated by the manufacturers and is presented at the best rates in the industry. Safe to consume, Untouched by hand, Affordable. 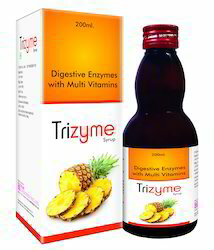 Helps in loss of appetite, Malnutrition states especially in infants. DHA for Psychoneuroimmune development growth. 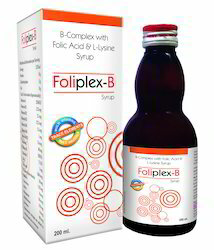 Vitamin B-Complex helps to maintain healthy nervous system. Vitamin E helps to supply Oxygen to the Blood and it is a major Anti-oxidant. Vitamin D ensures proper development of strong bones and teeth by promoting the absorption of Calcium & Phosphorous. For overall growth of a Child. 30 ml Pet Ambar Bottle with Measuring Dropper in a Carton. Ferrous Ascorbate Elemental Iron 100 mg.
Zinc Sulphate Mono hydrate equivalent to Elemental Zinc 7.5 mg.
Pregnancy Anemia, Nutritional Anemia, Iron & Folic deficiency. Box Pack of 10 Alu-Alu Blister Packs of 10 Tablets each as shown in Photograph. Owing to our hard-earned experience in pharmaceutical industry, we are engaged in offering Soft Gels of Lycopene, Vitamins & Mineral. Suitable for people with cancer, the offered product is processed from the best in quality ingredients & advance methodology as per the set medical standard. This product is accessible as per customer’s choices in bulk orders within a given time frame. Our valuable customers can avail this product from us at reasonable rates. Vitamin A (as Palmitate) 5000 I.U. Lycopene is an antioxidant that helps to 'mop up' excess free radical molecules. 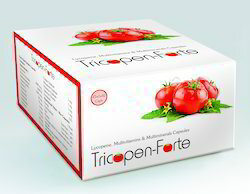 Our raw material is obtained from patented extraction process which protects the active constituents thus delivering a high quality extract rich in active tomato phytonutrients which acts as a potent anti-oxidant. 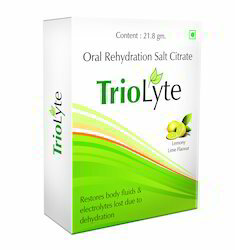 Restores body fluids & elecrolytes lost due to dehydration in diarrhea. Backed by a team of adroit professionals, we are able to offer the best quality Soft Gels of Iron, Vitamin B12, Folic Acid & Zinc. Our offered product supports normal growth and development during pregnancy. 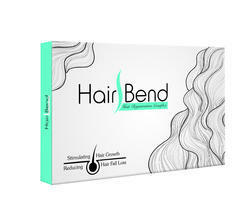 This product is processed from the best grade ingredients under the direction of experts in conformity with the set standards. Our customers can avail this product from us at competitive rates in air tight packaging. Ferrous Fumatate I.P. 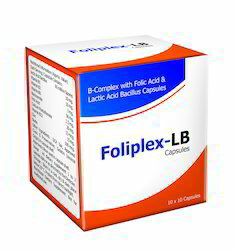 200 mg.
Folic Acid I.P. 1.5 mg.
Vitamin B12 I.P. 15 mcg. 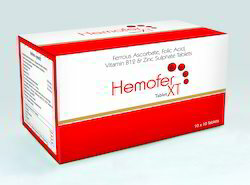 Iron Deficiency anemia, Malnutrition, Pregnancy, Lactation, Increased requirement in conditions of blood loss and increased requirement during growing years. Lactic Acid Bacilus 60 Millions Spores. 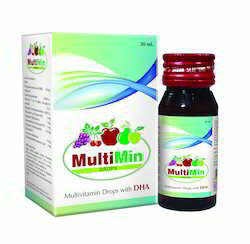 Multivitamins, Multiminerals with Trace Elements. 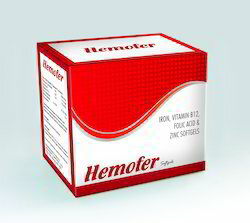 Provides essential Vitamins for proper utilization of dietary factors. Useful in Pregnancy & Lactation. Common fatigue & Body Weakness. A Box containing 10 Blister strips of 10 Capsules each. Molybdenum 8 mcg.Selenium 40 mcg. Globack shaped Pet Ambar coloured Borrle with Carton. A case-Pack of 60 Bottles available. 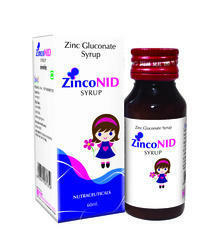 Treat prevent low level of Zinc for normal Growth Development of a Child. Zinc is an essential Mineral that stimulates the activity of about 100 Enzymes in the Body, thus Zinc Element plays a larger role in our lives than we realise. An increased Zinc level has proven effective in fighting Diarrhoea other Infections. Diastase (1 : 1200) 50 mg.
Pepsin (1 : 3000) 10 mg. Looking for Nutraceutical Products ?